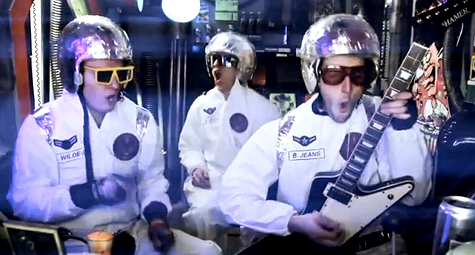 If you have an affinity for space suits like we do, you will probably enjoy our little space themed sampler that includes: Mean Jeans, Man or Astroman, Beastie Boys, Gizmos and, of course, Devo. Check it after the turn. EPM “pressurized and ready for launch” Out!